Worried That Your Children Will Have Crushing Student Loan Debt After They Grow Up and Graduate from College? This Episode Will Show You How to Save the Money Needed to Reduce That Debt! Just about everyone knows these days that student loan debt is a real crisis in this country. With well over $1 trillion owed, and a significant amount in default, today’s college graduates are struggling with a major burden to carry through life. But there is a way for you, as their parents, to ease that burden. The federal tax code, under section 529, has created tax incentives for contributing to a college fund. Referred to commonly as a 529 Plan, it can help you save for your child’s education. Every dollar you save (and grows with your child) is a dollar they don’t have to borrow! 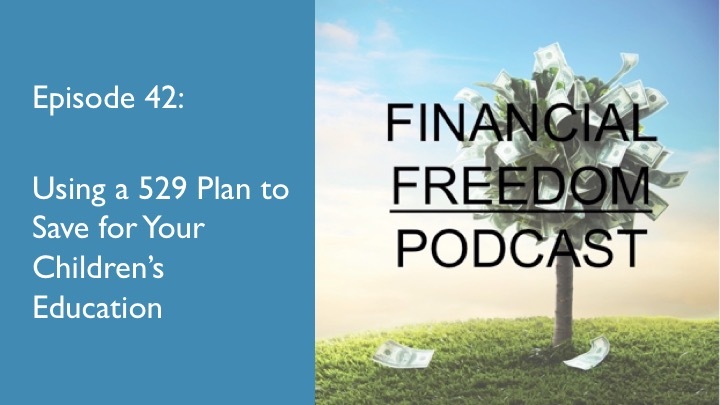 So in this episode of the podcast, I talk about these plans, what they are, what the money can be spent on, and whether they are right for you. What a 529 College Savings Plan is.